The internet nearly came to a screeching halt for Star Wars fans last week when Disney chief executive Bob Iger announced that in the new Star Wars anthology movie we will “discover how he got his name.” WHHAAATTTT!!! This is about as close to creationism vs. evolution as you are going to get for Star Wars Geeks like me! Changing the name of everybody’s favorite scoundrel is a heck of a gamble to take with potentially little reward. I mean this could be super cool or this could go over like Lucas having Han not fire first in the “Special Edition” (i.e. bad, lead balloon bad). 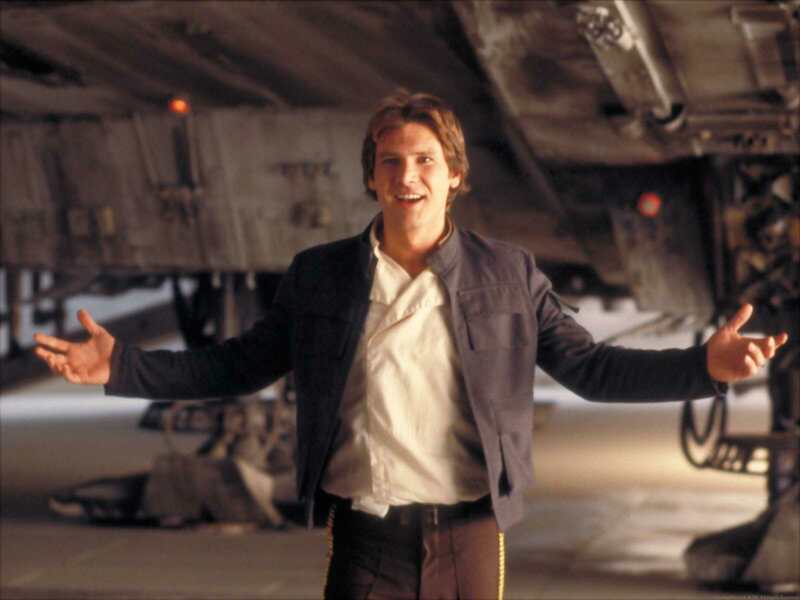 Since I doubt the movie will begin in a intergalactic baby delivery room with a very pregnant Mrs. Solo giving birth and saying “Name him Han!”, we can only assume that Han Solo is not his given name, but one he took on at some point. But in all seriousness, how intuitive is my 6 month old? I think he may be onto something here. “Solo” is an awesome surname for a gunslinger or scruffy looking nerf herder. It is actually a pretty good name for anyone other than your wingman at the bar. It would also work with the story of Force Awakens as well. Ben Solo took on a new name to distance himself from anything Jedi, so he takes his father’s name from before the world of Force-users entered his life. I think it could work, what do you think? How awesome is this shower curtain?